The Gospel of John Chapter 7 gives us the story of Jesus at the Feast of Tabernacles and tells of confrontations with the Pharisees. Your learning comes from reading and studying the Bible. After you've read the Scripture passage below, answer the following questions. It's a good idea to do them every day, so we offer to email the questions to you every day - just sign up below. Answer the questions below. You can download these questions to study the Gospel of John Chapter 7 on your own or with a partner if you like, or we can email the daily questions to you. If you want us to email the daily questions, complete the form below. You'll get 6 emails with the questions for each day. A seventh email will allow you to compare your answers and take you to Chapter 8. 1. Why were the Jews in Judea waiting to take Jesus’ life? 2. What do we learn about the Jewish Feast of Tabernacles from the following Old Testament references? 1. From Matthew 13:55 and 56 how many brothers and sisters did Jesus have? 2. What are the three reasons or arguments Jesus’ brothers used to try to convince Jesus to leave Galilee and go to Judea? 3. What possible reasons could have compelled Jesus’ brothers to urge him to go to Judea? 1. Compare the attitudes of Jesus’ brothers towards him as shown in Mark 3:20-21 and Acts 1:12-14. What caused the change? 2. What were the things that the crowds or the Jewish leaders did not understand as provided in the following verses? 3. In the Gospel of John Chapter 7 Jesus stated there was a way the people could tell if his teachings came from God. What was it? 1. List 5 verses where Jesus indicates or infers that God has sent him. 2. Why did Jesus rebuke the crowd in verse 24? 3. Why did the crowd try to seize Jesus in verse 30 and why did the Chief Priests and Pharisees send the temple guards to arrest Jesus in verse 32? 1. Provide the reasons in the following verses where some believed in Jesus to be the Christ. 2. What do we learn of the Pharisees from the following verses? 3. 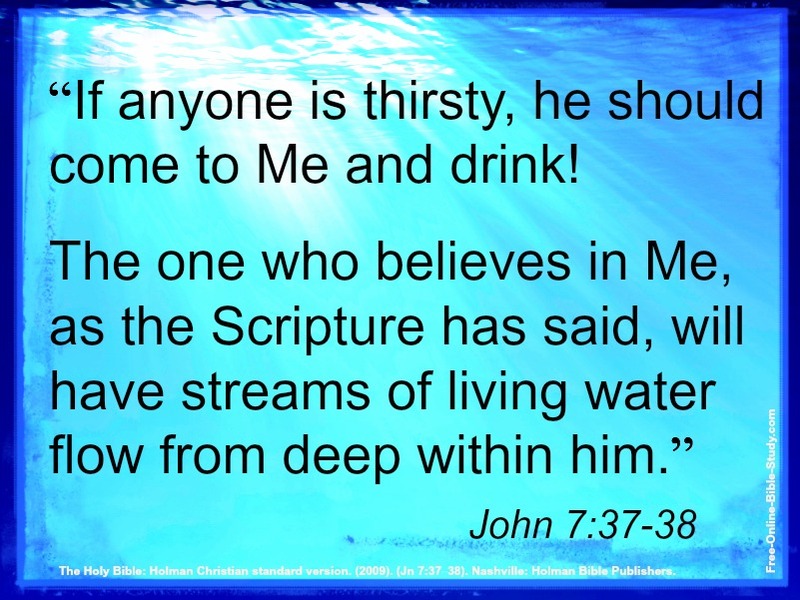 In verse 38 Jesus promises living water to those that believe on him. To whom had he previously offered living water and what does it symbolize? 1. What Scripture is Jesus referring to in verse 38? 2. Do you think the Pharisees actually went and listened to Jesus? Why or why not? 3. Why did the Pharisees ask Nicodemus if he was from Galilee also in verse 52?